Steel chair designed for Butchertown Hall. 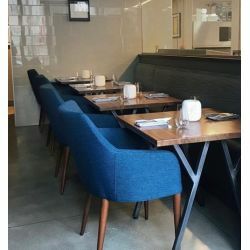 Bar stools in same style also shown. Metal Fred built all furniture, booths, back bar, light post that you see in these photos.